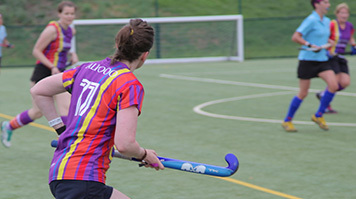 Around 30 sporting organisations and clubs will descend on London South Bank University (LSBU) next week for the annual LGBT+ Sports Fair, presented for the first time by volunteer organisation Out for Sport. The free event aims to encourage the LGBT+ community to become more involved in sports and will also be recruiting athletes for the 2018 Gay Games in Paris. Out for Sport co-Chair Vicki Carter said sports as diverse as swimming, dragon boating, jiu-jitsu and bowling would be represented, catering for all ages, genders and skill levels. “This event is for anyone wanting to get back into sport, take up a new one, find an LGBT+ team going to the Gay Games, or even just looking to meet new people,” she said. LSBU Chief Operating Officer Ian Mehrtens said the University was proud to be working in partnership with Out for Sport to host the LGBT+ Sports Fair this year. “LGBT+ sport is alive and thriving throughout the UK and Out for Sport should be commended for their work in raising awareness of it,” Ian said. The event will take place at The Venue in the Student Centre, 103 Borough Rd, SE1 0AA on Wednesday 19 April, from 6.30pm to 9.30pm. Entry is free but registration is required.